The sorption of heavy metals by soil constituents reduces the absorption of these pollutants by crops and vegetables, and thus limit food contamination. Low molecular weight anionic ligands are ubiquitous in soil and they influence the sorption of heavy metals. Here we review the influence of small anionic ligands on the sorption of heavy metals by soil constituents. We discuss the mechanisms of anionic ligand impact on heavy metal sorption by soil constituents; the influence of anionic ligands on heavy metal sorption by composites of soil constituents; and (4) the influence of mixed anionic ligands on heavy metal sorption. 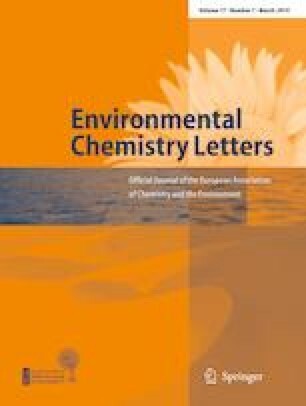 The information in this review will facilitate the assessment and control of heavy metal pollution in soils. We are grateful to Prof. Youjun Deng (Texas A&M University, USA) for revising the manuscript. This research was supported by the Fundamental Research Funds for the Central Universities (Program Number: 2662017JC009) and National Key Research and Development Plan of China (2017YFD0801002, 2017YFD0801502).